A Cold War creation: The Soviet space cannon was defensive, but what would it have defended against? On June 25, 1974, the Salyut 3 space station and its two-cosmonaut crew blasted into space. On the surface, it seemed like just another space exploration mission. 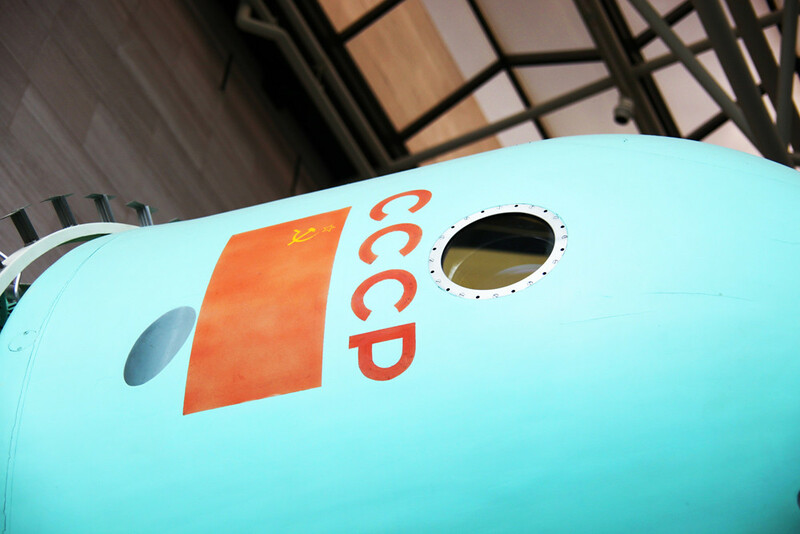 The Salyuts were the Soviet counterpart to America's Skylab, civilian spacecraft designed to conduct experiments, test what happens to the human body during long-duration spaceflight and, incidentally, to garner some Cold War propaganda points. But though the mission was called Salyut ("Salute"), it was just a cover name. In reality, Salyut 3 was the Almaz 2 military space station. The mission of the Almaz stations was surveillance, similar to the U.S. Air Force's Manned Orbiting Laboratory in the 1960s. The idea was that a vantage point 170 miles high made for the perfect observation post. America cancelled the MOL, but the Soviets launched three Almaz spacecraft between 1973 and 1976. However, there was something different about Salyut 3/Almaz 2. It wasn't just a military space station. It was an armed military space station. Almaz 2 was equipped with a small cannon to test whether Soviet spacecraft could protect themselves from American anti-space weapons. Details are sketchy, but some have emerged over time. "According to published accounts, reportedly confirmed by the spacecraft commander, Pavel Popovich, the station carried a modified Soviet jet interceptor cannon. It was a Nudelman-Rikhter 'Vulkan' gun, similar to models installed on the Mig-19, Mig-21 and the Sukhoi-7," writes James Oberg, a leading Western authority on the Soviet space program. Some sources believe it was a 23-millimeter cannon, while others put the caliber at 30 millimeters. "The gun was fixed along the station's long axis and aimed by turning the station, guided by a sighting screen at the station control post," Oberg writes. A Wikipedia entry states the cannon had 32 rounds. The cannon was apparently test-fired by remote control from the ground, during a period when no cosmonauts were aboard. This means that Almaz did fire its weapons, albeit not in anger. "On 24 January 1975 trials of a special system aboard Salyut-3 were carried out with positive results at ranges from 3000m to 500m," according to an Encyclopedia Astronautica entry. "These were undoubtedly the reported tests of the on-board 23 mm Nudelmann aircraft cannon (other sources say it was a Nudelmann NR-30 30 mm gun). Cosmonauts have confirmed that a target satellite was destroyed in the test." The Almaz's cannon was certainly no offensive weapon like the Death Star's planet-buster ray, or the H-bombs that Americans feared would drop on their heads during the panic over Sputnik in the 1950s. However, experts differ on how effective it would have been in space combat. Oberg writes that "at ranges of less than a kilometer it could have been highly effective, as long as it was not fired crosswise to the station’s orbital motion, in which case orbital mechanics would have brought the bullets back to the station within one orbit!" Tony Williams, who has written a history of cannon and machine guns, tells The National Interest that "vibration was certainly a problem, discovered when ground-firing the gun installed on the spacecraft, and meant that the gun was only test-fired in space during unmanned missions. Recoil would need to have been compensated by the spacecraft's steering/propulsion system. Lack of air would not be a problem, but I expect that temperature extremes might have been." Space warfare expert Paul Szymanski believes that it was possible to operate the cannon in space, but there would have been some issues, especially in fire control. "The trajectory of the fired shell would be curved, based on gravity (same as on Earth), so the aiming mechanism would have to account for this, along with the great speeds of the Almaz spacecraft and the target," he tells the The National Interest. In addition, destroying a high-speed anti-space weapon at close range might have resulted in Almaz being hit by fast debris. The Soviet space cannon was defensive, but what would it have defended against? The fictional U.S. Space Marines in that famous and bizarre scene from the James Bond movie "Moonraker"? Anti-satellite weapons exist— China is reportedly developing them — while the U.S. destroyed one of its malfunctioning satellites with an anti-ballistic missile in 2006. But the technology is still largely untested. In any event, one pities the poor cosmonaut who would have tried to gun down a rocket headed toward at five miles per second.